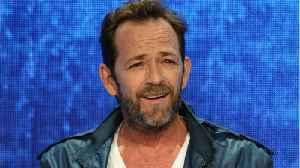 Fans criticized Jennie Garth for not posting a tribute to Luke Perry after his sudden death. According to Extra, Garth was Perry’s co-star and friend from “Beverly Hills, 902010.” Instead, the first post Garth made after Perry’s death was a photo of her daughters for International Women’s Day. Garth confronted her critics, saying Perry didn’t care about social media and for people to not make rude comments. Perry died March 4, 2019, at the age of 52. After suffering from a massive stroke. 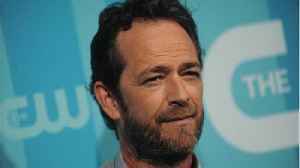 According to Comicbook.com, "Fans, friends, and co-workers alike have been mourning Luke Perry this week, who passed away from a stroke at age 52 on March 4th..." Jennie Garth a previous co-star got..
Riverdale's Luke Perry recently suffered a stroke at his home, and his rep has issued a statement on his current status. Perry was taken by paramedics to a nearby hospital to his home in Sherman Oaks..
Luke Perry reportedly suffered a stroke Wednesday and is currently hospitalized. 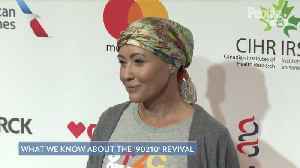 According to TMZ, paramedics responded to a call at the “Riverdale” and “Beverly Hills, 90210” star’s home in..
On Wednesday, Fox announced that the long-rumored Beverly Hills, 90210 reboot featuring the original cast is actually going to happen. Well… kind of. 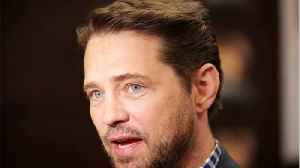 The original show cast members Jason Priestley,..